As noted in my previous post I now use coconut meal s replacement for almond meal. So my cakes end up very filling. For savoury I add herbs, but chopped olives can work too. For sweet any of the following: honey, cacao, stevia or any other sweetener, raisins, figs, banana. Mix up the dry ingredients, then mix in the wet ones. Grease a good size mug and add the mix in and microwave. I would say 2 minutes first and then have a look. If it looks like a cake, eat it. If not just yet microwave some more. 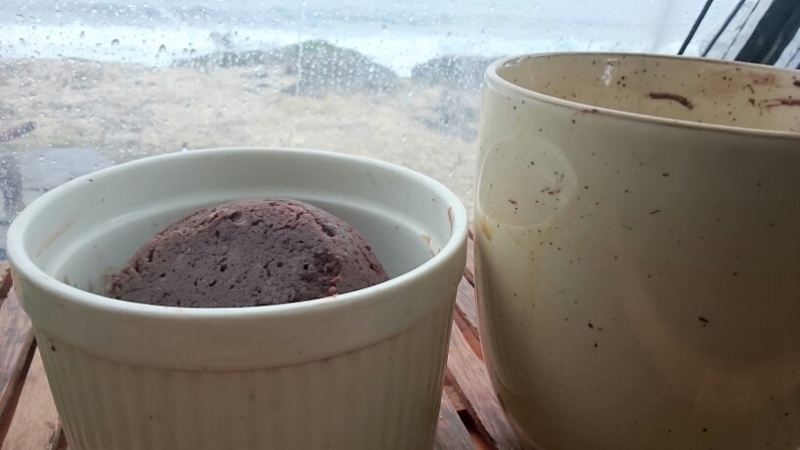 When done you can upturn the mug onto a plate and end up with a pretty round top cake. I didn’t do it for the photos because I proceeded right through to lathering it in coconut yoghurt. 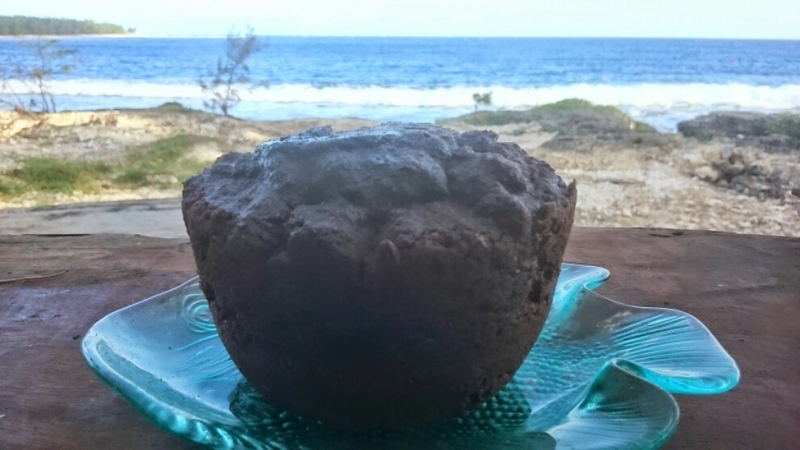 And ended up emptying the container so just placed the cake inside instead for the most indulgent hot-chocolate-cake-swimming-in-coconut-yoghurt eating experience.